Read about why our patients are so happy with their LV Derm care. If you would like to see and hear actual patients describe their Las Vegas Dermatology experience, you may view our “Videomonials” by clicking here. If you would like to read some of our hand-written testimonials, you may do so by clicking here. The best way to find out what it’s like to be treated at Las Vegas Dermatology is to book an appointment with us! Click here to book your appointment or call us at (702) 456-3120 today. Las Vegas Dermatology routinely surveys its patients internally and uses this information to improve patient care on a daily basis. We are proud to publish below some of the hundreds of, “thank-you’s” from letters and surveys we receive each year from our clients who trust us to deliver professional, safe and effective treatments at an affordable cost. I went to Dr. Greenberg for a rather simple but irritating issue….. small veins noticeable in my nose. Dr. Greenberg was , short and to the point, which I like. There was no sales pitch just a matter of fact “this is what we can do and this is how much it will cost.” I didn’t wait for a ‘next’ appointment….I have zero patience. I ask if we could get it done now and he responded by saying, “let me get the laser warmed up”. Thirty minutes later I was lasered, veins were gone, and I was out the door…amazing! Some bruising occurred later, which I expected and within 7 to 9 days everything was back to normal except I didn’t have those ugly veins showing in my nose. I am a somewhat vain 67 year old male but wanted to look the best I could look and the veins were not part of my program! 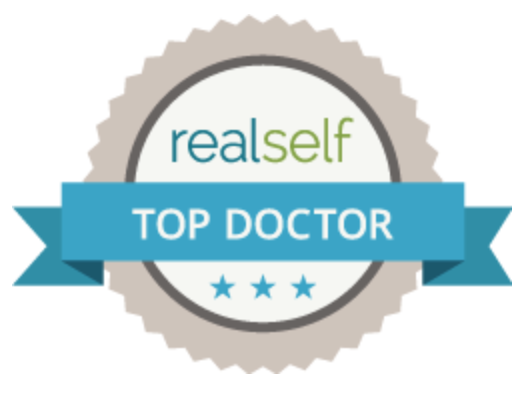 Dr. Greenberg is the best dermatologist because he’s very thorough & knowledgeable. He takes his time with each of his patients. One time I had a bad reaction to a procedure and he called me every day to make sure my lip was healing properly. I highly recommend Dr. Greenberg to all of my family & friends. Dr. Greenberg is the best!! So glad I finally decided to come. Dear Dr. Greenberg, I can’t think of anything in your office I would change! I have been in the medical field for eighteen years and your offices are so clean. I mentioned this to your nurse and she said, “We try to keep the offices up after each patient.” Your staff is welcoming, professional, and keeps the patients moving in and out as quickly as possible. I appreciate this because I am on a time table and try to keep my appointments to the time designated. I also think you are the most thorough medical Doctor in Las Vegas! Thank you for your kindness whenever I see you and for my good health! Dr. Greenberg is a great dermatologist. He is there to help you understand and treat your problems. I would recommend Dr.Greenberg to all of my friends and family. Thank you Dr.Greenberg for your help with my treatment. I really enjoyed my visit; it is one appointment I am glad to go back to.